This summery treat can be served in wedges to the kids or chopped and served with skewers at a party. Prepare the cold strong tea the night before. Steep tea in cold water for 4-10 hours in fridge. Add vodka if desired. Wash skin of watermelon well and cut into wedges or 1cubes and place in a large bowl. 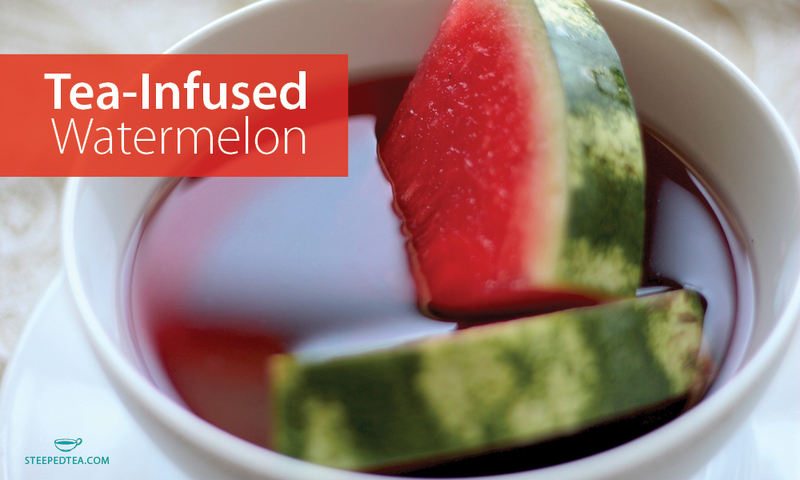 Pour tea over top of watermelon and soak for 10 minutes in fridge. Serve cubes on skewers or wedges on a serving plate.